One of my very favorite books as a child is all about a street where everyone's house is neat and tidy (i.e. boring) and exactly the same. One day, thanks to an accidentally dropped bucket of bright orange paint, the residents slowly realize that individuality and creativity aren't things that should be shunned, but rather celebrated. Is there a better life lesson for children as well as adults? And, while I've forever had fond memories of the warm, fuzzies that come with paging through this book, I find myself in a similar state (except with much more awe and amazement) now that I've seen the adventure, friendship and love in Blank: A Vinylmation Love Story. 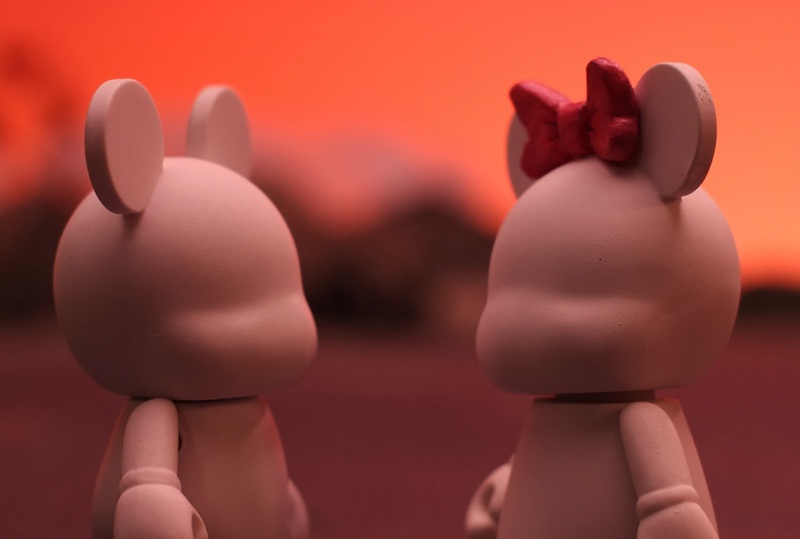 Based on the popular Disney Parks Vinylmation collectible franchise, Blank: A Vinylmation Love Story is a 38 minute film that will touch your heart without a word ever being spoken. This Disney love story is filmed entirely in practical stop-motion, resulting in an eye-catching effect that is the perfect medium for the plot. 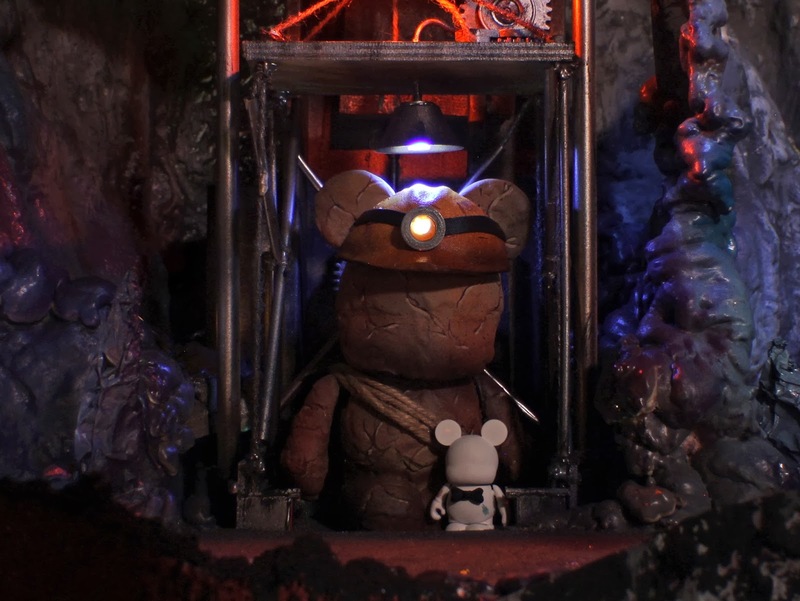 The story itself is focused on Blank, an unpainted Vinylmation figure, as he embarks on an epic adventure through a new world to find his lost soulmate. ...they find an instant connection with him. He's curious and sweet, suddenly alone, completely different from everyone else and feels a bit of an outcast. ...and the two are meant for each other. But when is love ever that simple? Due to the strict rules of the Vinylmation factory, Blank and Bow must be painted, boxed and shipped off on their separate paths, just as every other collectible before them. Instead, once Bow is sent off on a train to be "repaired," Blank will stop at nothing to be reunited with her. What follows is a heartwarming tale that manages to portray the characters' hopes, fears, and wishes, while keeping the undertone focused on the importance on love and friendship in all of our lives. ...that will last a lifetime and boost you up when you need extra help. 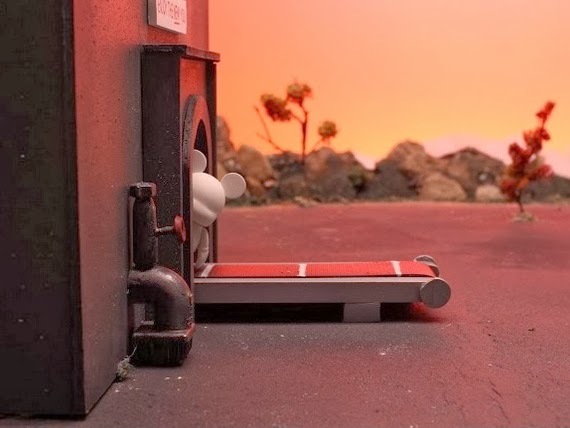 Whether your life is on the path that you had always planned or you are off somewhere where you least expected, this movie truly manages to capture the emotions, risk-taking and ups and downs we all experience through these simple, adorable images. 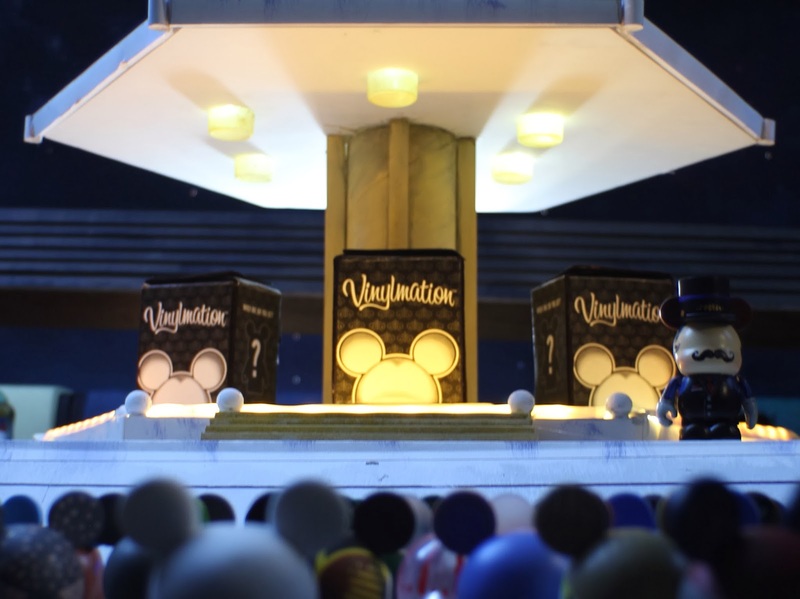 While Disney is already known worldwide for mastering the entertainment industry, I really believe that they have outdone themselves with the symbolism portrayed in Blank: A Vinylmation Love Story. No matter if you are struggling to find your identity and sense of self while you change careers, have a child, begin or end a relationship or more, one person can make all the difference if they believe in themselves. Be a part of the Blank and Bow celebration! Plus, to celebrate the premiere, Google is also inviting fans to share frames from the film with friends and family as digital greeting cards at blankmovie.withgoogle.com. As an extra bonus, after sharing a frame, guests can unlock a second special film, Cranes in Love, created especially for Google users. Be sure to head over to Google Play now to download (free!) this film and connect with Disney on Facebook and Twitter to share in the #BlankandBow excitement as well. If you watch this movie, I would love to hear what you think and what you discover about your inner Blank! We have quite a few Vinylmations here. I'll have to check this out...sounds really sweet and probably something our whole family would like. This sounds like a wonderful story that teaches a valuable lesson about individuality. I love that it can be downloaded for free on Google Play. Thank you for sharing this review. Never heard of these before. Sounds like a great little movie.